Republican presidential nominee Donald Trump spent Monday trying to leave a muscular imprint on the homeland security debate in the wake of new attacks this weekend in New York, Minnesota and New Jersey. As fears of another ISIS-linked terror attack permeated the national political debate, Trump took the opportunity to argue for his immigration plan. However, many of that plan’s details remain vague, particularly when it comes to how it would stop terrorism. “These attacks and many others were made possible because of our extremely open immigration system which fails to properly vet and screen the individuals or families coming into our country,” Trump told a packed arena in Estero, Florida on Monday afternoon. The businessman strongly touted his plan to stop immigration from countries that his administration would deem overrun by terrorist groups. So far, Trump has said only two countries fit this bill, Syria and Libya, and has said previously that all Muslim immigration to the United States would be halted. That plan to end all Muslim immigration remains on his website. Trump said in a speech over the summer that specifics on that would wait until he was in the White House until he would begin ruling out immigration from other countries and regions. Trump still hasn’t clarified whether these countries would include NATO allies, such as Turkey and France, both of whom have dealt with ISIS-related terrorist attacks. The suspect in the latest terror attack, 28-year-old naturalized citizen Ahmad Rahami, was born in Afghanistan. Notably, as of Monday night, Trump has not said that Afghanistan was on the list of banned countries. 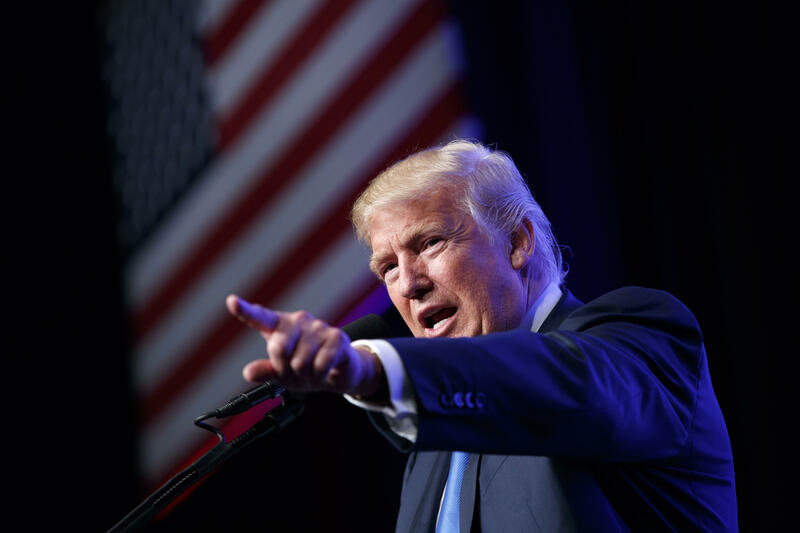 Trump also touted his proposal of an ideological test for prospective immigrants​ coming into the country. Critics allege that this is impractical because potential terrorists could simply game the system and give whatever answers needed to gain entry to the United States. Trump himself seemed to admit this, albeit while making the opposite point about why Syrian refugees shouldn’t be allowed into the country. Trump also brought up profiling as an effective method of stopping terrorism​, repeatedly citing Israel throughout the day. Hours later, Trump expressed similar sentiments to conservative radio host Michael Savage. In an interview that aired on Monday night, Fox News host Bill O’Reilly asked specifically what kind of profiling Trump wanted to do. Trump was vague in his response. “Where if we see somebody that we think there could be a problem. At airports and other places, you talk to them and you see what’s going on,” Trump said. O’Reilly pressed on what Trump meant. Where does Donald Trump stand on terrorism? In that same interview, Trump even maintained that he never specified that it was Muslims that would be profiled. Yet multiple times on Monday alone, Trump cited radical Islamic terrorism while laying out the case for profiling and, as noted earlier, his proposed halting of Muslim immigration​ remains on his campaign’s website. Also on Monday, Trump continued his trend of responding to terror attacks by indulging in speculation​, this time about Rahami’s foreign connections. It is still not confirmed what links Rahami had to any terror groups. When Trump made the comments, Rahami had not even been taken into custody. Trump also said Rahami could expect lenient treatment from the justice system, including “room service, knowing the way our country is. And on top of all of that, he will be represented by an outstanding lawyer.” He said that instead Rahami, an American citizen, should be treated as an enemy combatant. According to a recent ABC News/Washington Post poll, terrorism is the second most important issue for voters. The first is the economy. On terrorism, 47 percent say they trust Clinton more, while 44 percent say they trust Trump. Whether Trump’s hardline policies continue to attract support remains to be seen. But on Monday, Trump made clear that he viewed the weekend attacks as a validation of his campaign rhetoric. “We have a country to keep safe. And we’re not going to keep our country safe. You see this happening, and you know and I know it’s going to get worse,” he told O’Reilly.